The secret to keeping any project on track is organisation. This can come in a number of forms but for this post, I wanted to look at how you can use simple folder structures to help organise and manage the content of your project. For most people, especially editors, when you use the word content they will instantly think of hours and hours of rushes, but in terms of a project, there is a ton of other 'stuff' that we will need to have to hand. The amount of 'stuff' we have will depend upon the type of project you are working on and the experience of the people you are working with too. Even if there is no information being offered to you, there are a number of things that you should be doing to ensure your project runs smoothly. Make sure you have an understanding of the project's workflow. Talk with the producer, editor and cameramen if needed. Ensure you understand how the material is captured, backed up, delivered, ingested and what the final delivered project is expected to be. Get this all down into a simple bullet point document that you can access easily and update as and when required. While you are gathering information on the project ask if there is anything else you need to know. For example, can you get a copy of the shooting schedule, call sheets or script? Is there a contact sheet for the people involved in the project? Arm yourself with as much data as possible and if it's not available, use your initiative and make a contact sheet and share this with everyone. 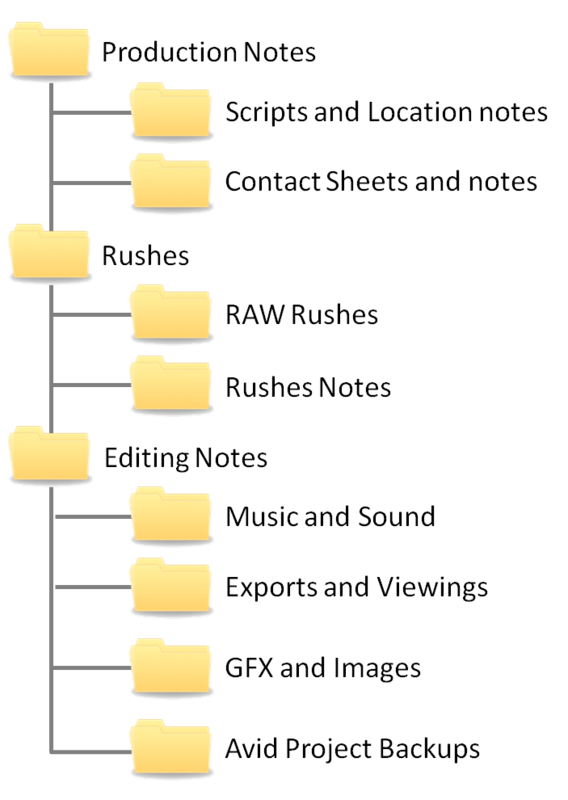 With a folder structure like this, you can easily drop the appropriate files into the right location and more importantly find them when you need them. Where do you store this info? So its one thing having this information on your laptop but it's another to make sure the information is kept secure and safeguarded against drive failure! I like to store as much as I can on the cloud to allow it to have good resilience and also easily accessible, from anywhere. That said you may not want to be pushing 2 TB of raw rushes to and from the cloud over an ADSL link though. In these cases, it best to have a hybrid approach. If you use the likes of Google docs you can have folders on your workstation or laptop backed up to the cloud automatically meaning you can work on local docs but have them safely placed onto the cloud as and when your internet connection becomes available. Best of all this is free with any Google email address. Similar services are available from other vendors. When it comes to backing up your rushes you should really have 3 copies, but for smaller projects, it is not uncommon for people to back up the rushes to 2 pocket drives and count the ingested Avid media as the third. This works fine as long as the material is being used in its native format, but if this is an offline-online process this is not good enough. 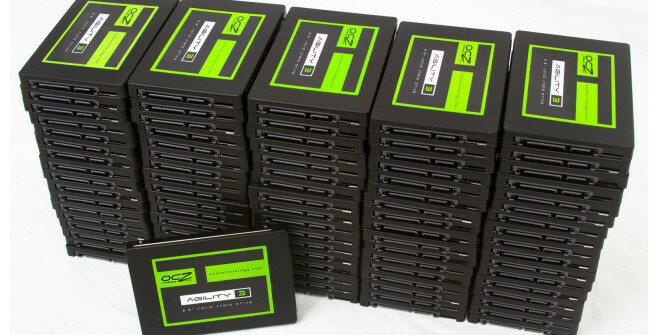 On larger productions, a RAID protected NAS would also be ideal for backing up content and documentation. This allows multiple workstations to be backing up at the same time with good speeds and depending upon the NAS RAID configuration (RAID1 for example) it may also offer 2 copies in a single write cycle.